Since the Google search algorithm was developed 10+ years ago, there have been various reported shifts between what Google deemed important. For many years it was heavily favoured towards the content on your page, then a shift occurred which gave greater importance to the sites that are linking to you. When webmasters learned about this sudden shift they tried every trick up their sleeve to create as many links as possible. This result was a rise in link tracing or reciprocal links and even led to the creation of something called link spam. We have evolved even further since then. Google has again surprised many people interested in search engine optimization with shift in its search algorithm focus. Over the last years it has become more scrupulous with the quality of links and weights different links based upon a scale. 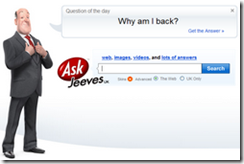 As many of us know, inbound links are links pointing to a site from another site. 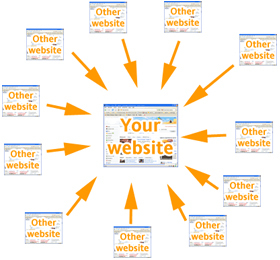 Everyone would obviously love to link to a site that has something of value to offer. Google considers such a process to be a reflection of the acceptance of a site and a popularity measurement done by others. It feels that such sites should be given their due position in their search rankings. Think of it much like a democratic process whereby the most efficient and suitable candidate is elected. Google has viewed all reciprocal links (you put a link on your site and that site puts a link to yours) with a little more suspicion. They do not anymore occupy the importance it once had in Google’s ranking scheme. These days, Google prefers deep links. This means that search engines want to see links that go to pages other than your home page. The text that is on the site linking to you is also important. Its called anchor text! If that text is relevant to your site and it links to you this is a good thing in the eyes of big G! Google scans the entire page for consistency of topic and not merely the area surrounding the anchor text. So sites that link to you with relevant content is obviously much more appealing! 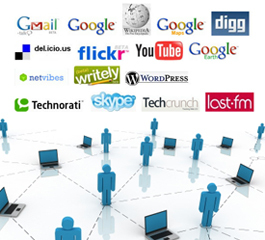 There are several ways of getting other sites to link to you or to create one way back links; while many webmasters like to perform directory submissions, article submissions, social book marking and submitting to PR sites, while this can be somewhat effective in h elping for less competitive areas there one thing that will work much better. Think of it like this; do you have something that you can offer on your site which will cause a buzz in your industry? If you can find something that is so unique, so different, or so helpful that many people link to it then you are achieving your goal naturally! You are getting others linking to you without doing it yourself. Here is an example. A cosmetic surgeon in Toronto, may decide to put animated videos of his/her procedures on his site. Other relevant people may see this and link to it themselves. What did you do? You created something unique enough to have someone notice it and link to it. No one obviously can alter Google’s ways by waving a magic wand. Commanding over 80% of the search market Google is the trend setter and anyone wanting to have traffic coming to their site had better tune their online strategies to coincide with Google’s algorithm. The best rule of thumb to remember; Google likes 2 things – Content and Sites Linking to you. So make sure the information you offer is relevant and updated often. Be unique and make sure others see what you are doing. It will hopefully create a buzz and cause others to link to you!